Driven all day to a town in the middle of Spain we have never heard of, only to find major film festival starts here today. Eventually we parked across town and walked in. A very nice girl in the second hotel phoned around and found us a room. Now trying to find somewhere to eat and nearly caught out by the Spanish Restaurants not opening until 9. Ruth Wastell What a shame, reduced to a bowl of crisps and a glass of wine!!! I don't mind if you have some good food.....go for it I say!! 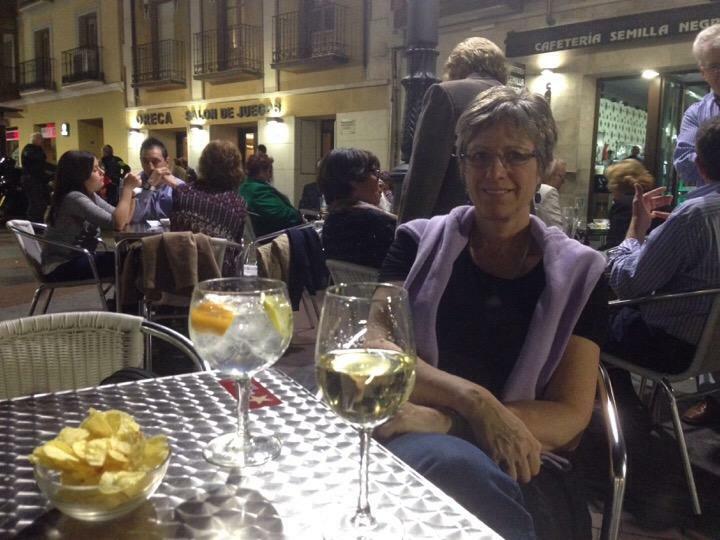 Patsy Wine looks good Vicky, enjoy your travels !